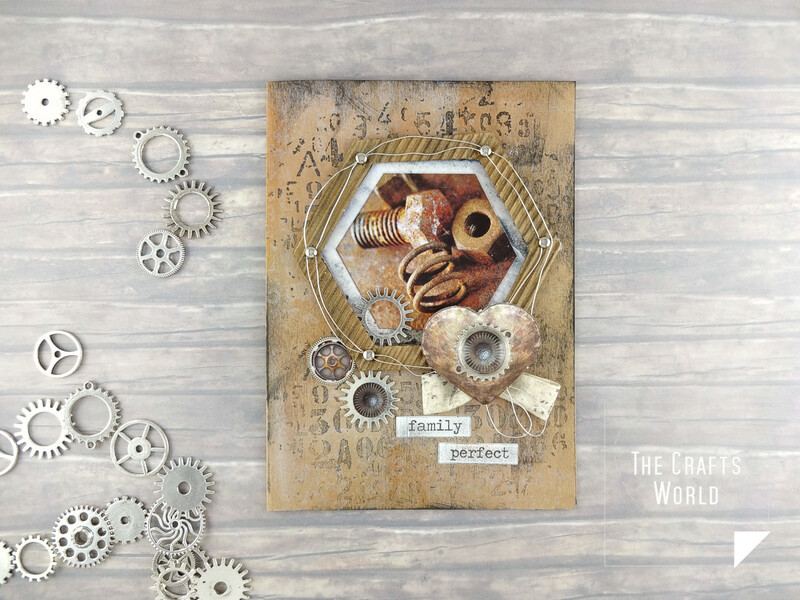 Make a handmade card for Father’s day, showing your appreciation to him for all the good works he does for the family, in rusty colors and metallic gears. 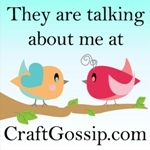 Find this and more projects with easy access to materials in Buddly Crafts Magazine. 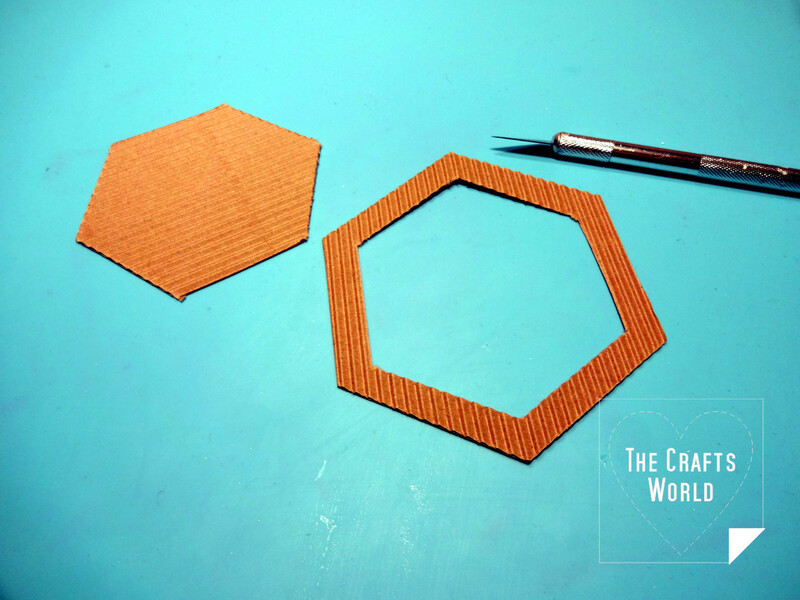 Remove one hexagon topper and use it a stencil to mark the shape on the back side of a piece of corrugated paper. Mark with a ruler 1cm from all sides and shape a large shape. 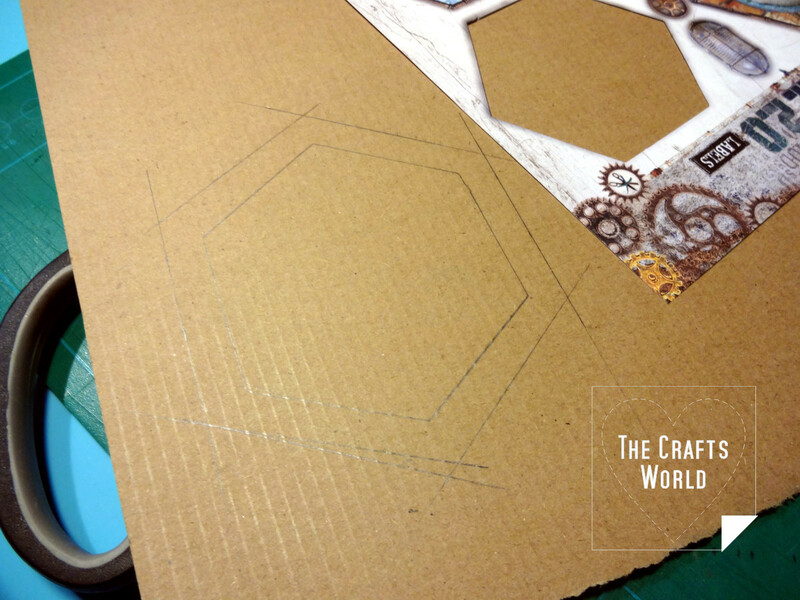 Cut the hexagon shape creating a frame. 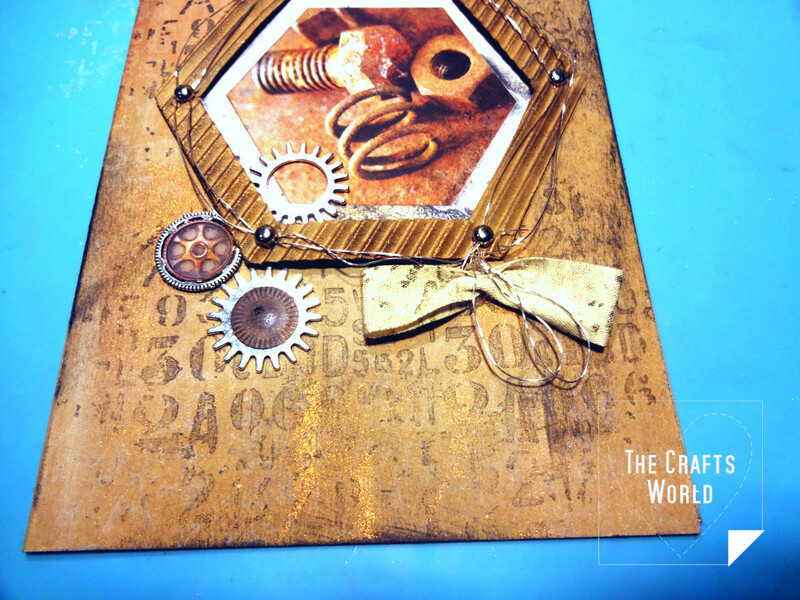 Distress the corrugated paper frame with the copper and blank ink pads. 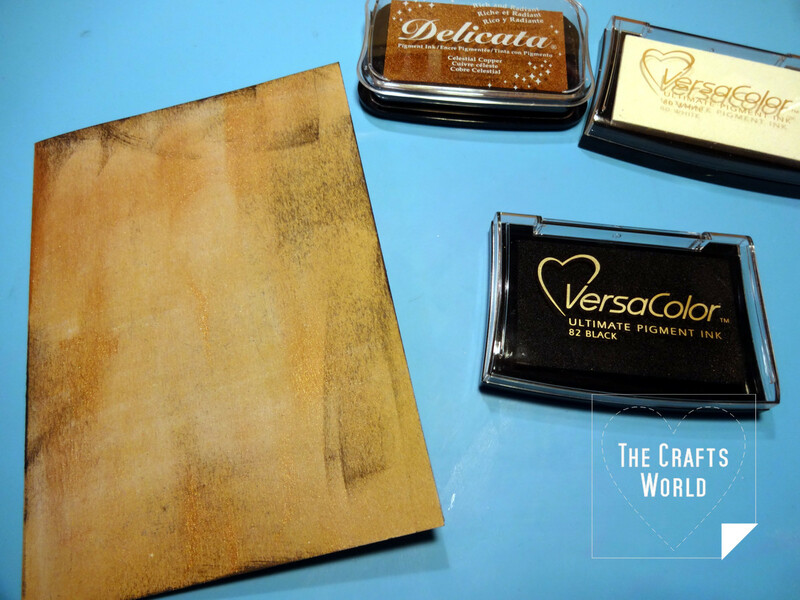 Distress heavily the front of the 5×7 card first with the white ink pad and then with the copper and black. Cut a piece about 13cm long of the cotton ribbon. 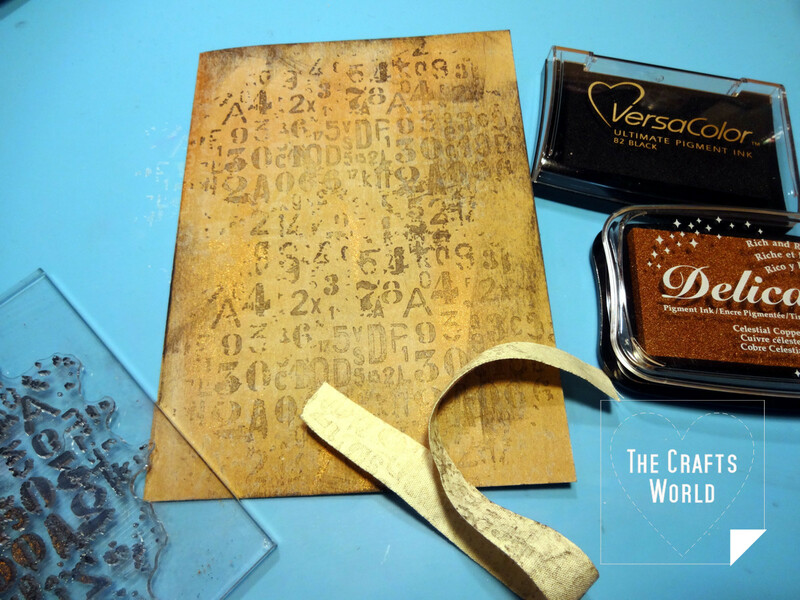 Stamp with the Studio Light clear stamps both the card and the ribbon using the copper and the black ink pads. 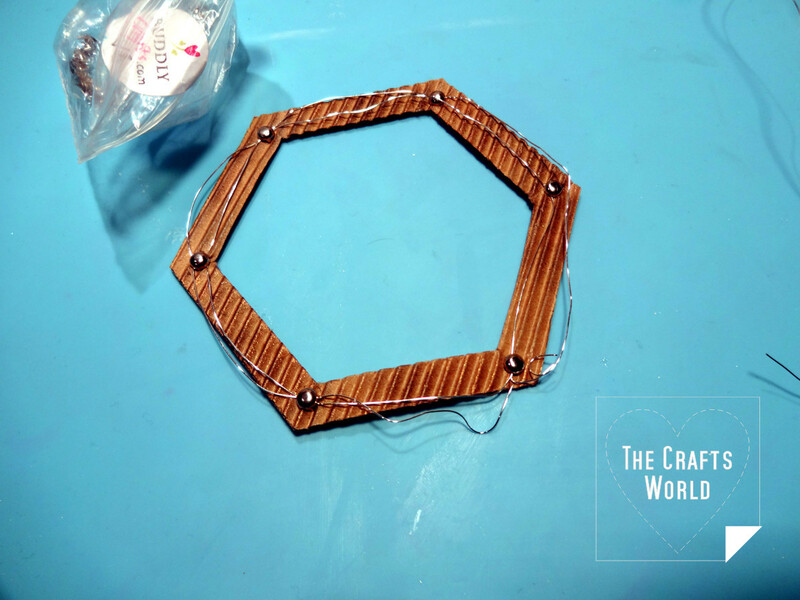 Shape the silver wire twice along the corrugated paper frame and secure with the stud rivets to the corners. 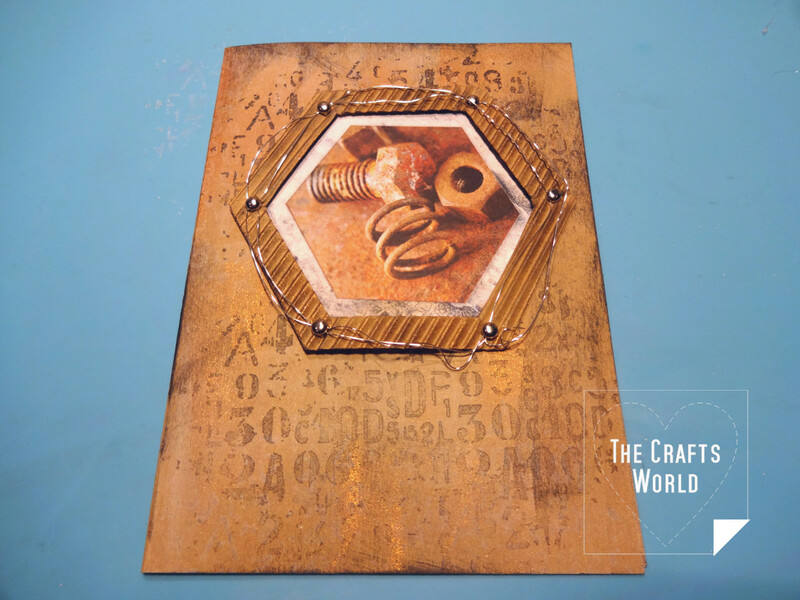 Glue the topper on the card and then the frame that stays higher than the card surface. 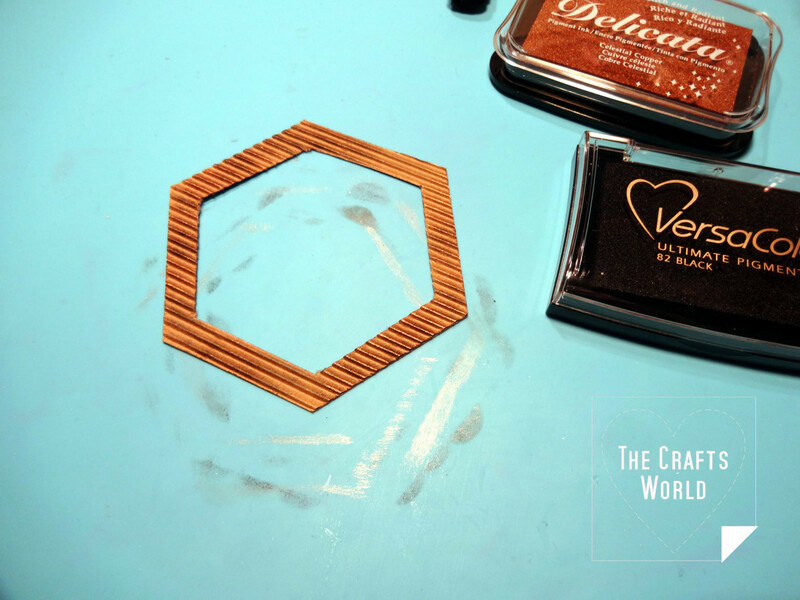 Use a hot glue gun to make big dots close to the corner of the top and then press the frame. Remove the heart and one of the gears from the Studio Light toppers page. Glue first the paper gear to the heart. 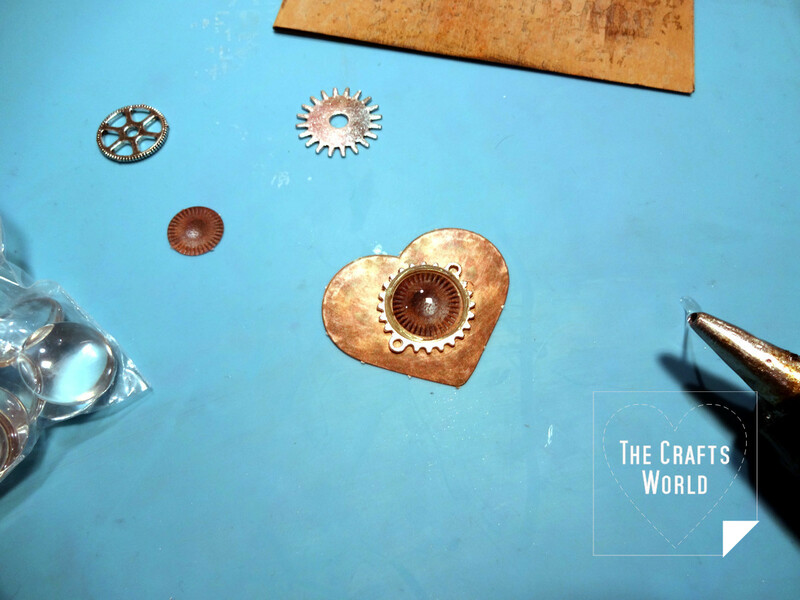 Then place the metallic gear, fill the center with hot glue and press glass cabochon to secure all on the heart. From a bow with the ribbon and glue. 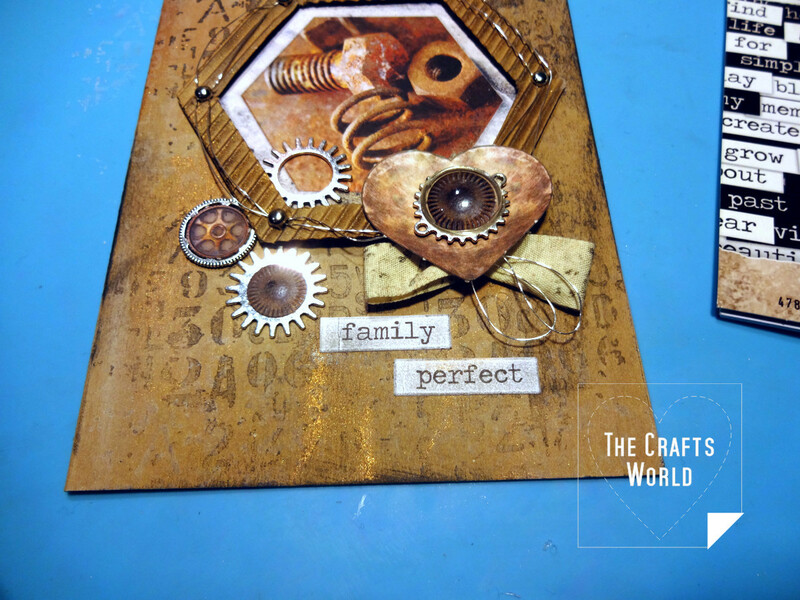 Add the gears on the card. Finish by gluing the heart. Add the word stickers and distress with some black ink to reduce the whiteness of the paper.